Sorry for the cheesy title there but I just can’t help but thinking of the “you light up my life” song when I start to write about my lighting debate. You can blame it on hours of pouring over lighting source websites and catalogs (poor me, right?!). You can see that they aren’t bad but I am not in love with them either. The pendant actually need to be raised because they are too low and bang into your head when you are trying to cook. The globes are really dirty with the frost peeling away too. Yuck. I figure if I am going to shop for new pendants that I might as well go ahead and find a new fixture for over the breakfast table too. We’re replacing the breakfast table for something a little larger and have chosen this one for its great price. After all, we still have another kid to go through and, if the damage to our current table from Hailey’s younger days is any indication, that poor table is in for a beating! 1) I’m a big fan of the simplicity of this one. It even has pendants that pretty much look like mini replicas of the big light available. 2) This one is similar but with a square shade instead of a round one. 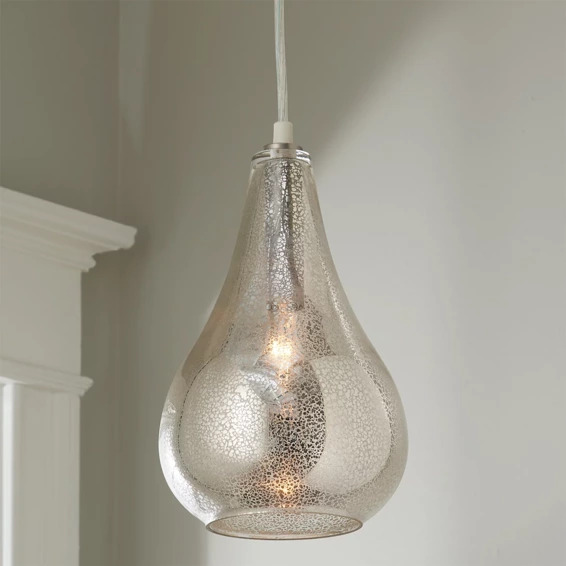 3) I love the idea of the exposed bulbs in both of these fixtures. 4) I also really like the shape of this one. I can see it over the island and paired with a bell shaped larger fixture for over the table. 5) Then, there is my all time favorite which I just can’t get my pocket book to agree to. What do you think? Like any of those? I’m still on the fence about which to choose but hope to make a selection soon. My poor forehead can only take so much more abuse from my pendants over the island!